Election Day is behind us and we can all exhale and relax. The best way to do that is by planning your weekend around all the great things that are happening in the cities, towns and villages of the 88th Assembly District. The Picture House (175 Wolfs Lane, Pelham) will have a special screening of “Theo Who Lived” followed by a Q & A. The film chronicles the story of Theo Padnos, a journalist who snuck into Syria and was captured and tortured by Al Qaeda. Visit thepicturehouse.org for more information. The NYP/Lawrence Hospital will provide free seasonal flu shots at The Bronxville Reformed Church (180 Pondfield Road, Bronxville) from 10 a.m.- 1p.m. Visit bronxvillechamber.com for more information. The Bronxville Library (201 Pondfield Road) will host a seminar on health, wealth and retirement from 7-8 p.m. Visit bronxvillelibrary.org for more information. The Temple Israel Center of White Plains (280 Old Mamaroneck Road, White Plains) will host The Westchester Great Big Challah Bake as part of The JCC of Mid-Westchester’s Shabbat Project. Registration begins at 7 p.m. and the event starts immediately thereafter. Visit jccmw.org for more information. The JCC of Mid-Westchester (999 Wilmot Road, Scarsdale) will present “Contemporary International Cinema – A Look at Food & Family in Comedies and Dramas” at 10:30 a.m. Visit jccmw.org for more information. 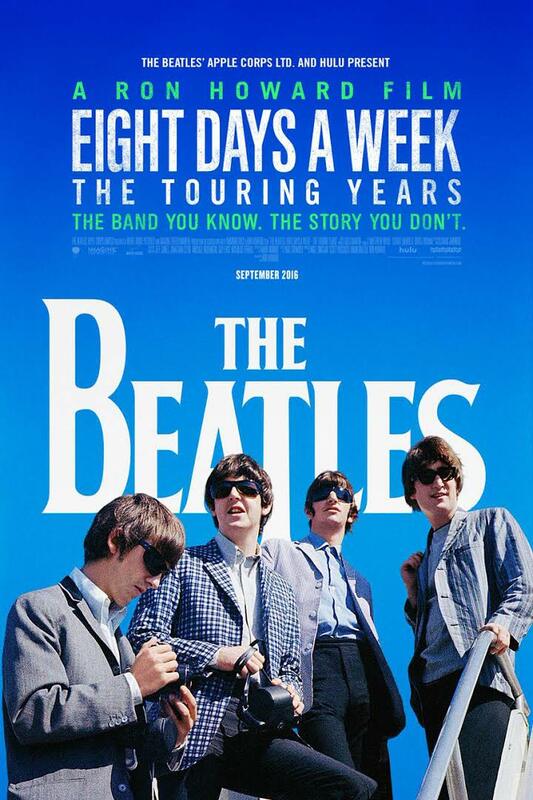 The Picture House (175 Wolfs Lane, Pelham) will kick off its month-long music and movie series with a 7:30 p.m. showing of the Ron Howard Beatles documentary “The Beatles – Eight Days A Week – A Touring Documentary”. Visit thepicturehouse.org for more information. The Bronxville Women’s Club (135 Midland Avenue, Bronxville) will host “A Salute To Veterans” from 10 a.m.-2 p.m. Come and meet a veteran. Visit bronxvillewomensclub.org for more information. The White Plains Performing Arts Center (11 City Place, White Plains) will present “High School Musical” at 8 p.m. on Friday and Saturday. There will also be a 2 p.m. performance in Sunday. Visit wppac.com for more information. The City of New Rochelle will host a Veteran’s Day Ceremony at 10:30 a.m. in Memorial Plaza. Visit cityofnewrochelle.com for more information. The Junior League of Central Westchester will host their annual Lord & Taylor Shopping Event (Vernon Hills Shopping Center, Eastchester) from 10 a.m.- 8 p.m. Purchase tickets at Wayside Cottage (1039 Post Road, Scarsdale). Visit jlcentralwestchester.org for more information. The Westchester Reform Temple (255 Mamaroneck Road, Scarsdale) Chai Society Dinner and Chabat Service will take place beginning at 6 p.m. Visit wrtemple.org for more information. The City of White Plains will hold a ceremony honoring veterans at the Soldiers and Sailors Monument in White Plains Rural Cemetery (167 North Broadway, White Plains) at 10:30 a.m. Visit cityofwhiteplains.com for more information. The Leslie Pintchik Trio will perform at Alvin & Friends Restaurant (14 Memorial Highway, New Rochelle) from 7-10:30 p.m. Visit alvinandfriendsrestaurant.com for more information. The 2016 Westchester Polar Plunge will take place at noon at Glen Island Park (1 Weyman Avenue, New Rochelle). Registration begins at 10 a.m. Help raise money for The Special Olympics. Visit kintera.org/faf/home/default.asp?ievent=1159351 for more information. The American Veterans Ball will take place at The Greentree Country Club (538 Davenport Avenue, New Rochelle) at 7 p.m. Visit americanveteransball.org/avb2016-new-york/ for more information. The Family Christian Center (592 Main Street, New Rochelle) will host their Women of Integrity Meeting from 10 a.m.- 1p.m. Visit fccnr.com for more information. There will be a Mulch Mowing Demo and Q&A at Eastchester Town Hall (40 Mill Road, Eastchester) at 4 p.m. The presentation is open to residents and landscapers throughout the county. Contact Anne Jaffe Holmes at the Greenburgh Nature Center at 914-813-1251 for more information. 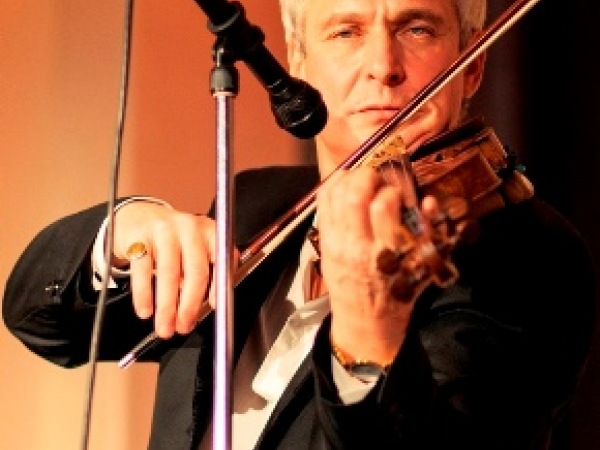 International violinist David Podles will perform at The Bronxville Library (201 Pondfield Road, Bronxville) at 3 p.m., performing selections that will highlight the gypsy campgrounds of Romania, Russia, Poland, Latvia, India, Spain, and the former Yugoslavia. Visit bronxvillelibrary.org for more information. The Northeast Etsy Artists Association Pop Up Market will host a pop-up Artisan Market at West Elm (678 Post Road, Scarsdale) from noon- 4p.m. where local artisans will feature their handcrafted goods. Visit northeastetsyartists.org for more information. Alvin & Friends Restaurant (14 Memorial Highway, New Rochelle) will host “Sunday Jazz Brunch” beginning at 11:30 a.m. There will be live music and an extensive menu. 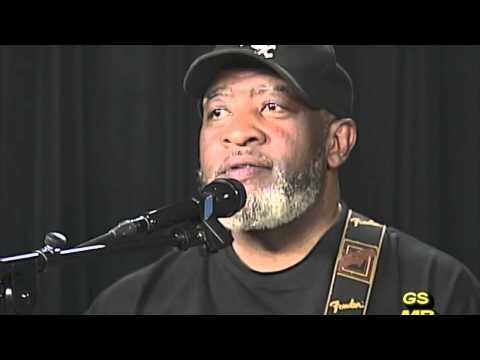 The House Coffeehouse, an open mic event for performers under the age of 21, will take place from 6-8 p.m. Visit alvinandfriendsrestaurant.com for more information. The Bartow-Pell Mansion Museum (895 Shore Road, Pelham Bay Park) B2B, The Bartow to Bartow Challenge, a 5K run/walk along the Hutchinson River Greenway, beginning at 11 a.m. Visit barowpellmansionmuseum.org for more information. The Scarsdale Library (54 Olmstead Road, Scarsdale) will host “A Celebration of Diwali”, the Hindu Festival of Lights, at 2 p.m. Visit scarsdalelibrary.org for more information. St. John’s Wilmot Church (11 Wilmot Road, New Rochelle) will host a Coffee Hour “Brown Bag Lunch Preparation” at noon. Make sandwiches for Trinity-St. Paul’s Brown Bag Lunch Program, which will be delivered the next morning for distribution. Visit www.stjohnswilmot.com for more information. 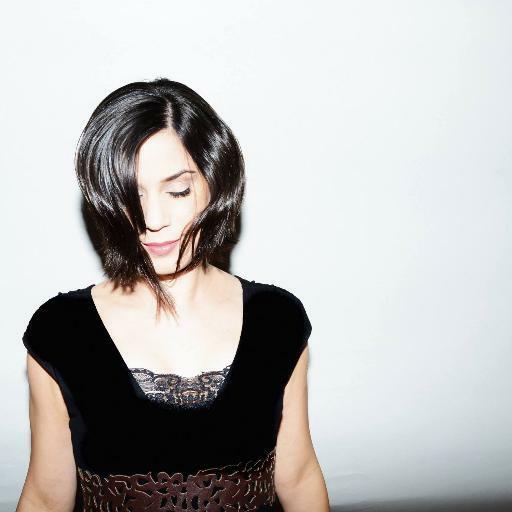 The Walkabout Coffee House Music Series will continue at the Memorial United Methodist Church (250 Bryant Avenue, White Plains) with performances by Sara Thomsen and Omnia Hegazy at 6:45 p.m. Visit walkaboutclearwater.org for more information. The Hoff-Barthelson Music School will honor its former executive director Joan Behrens with a 4:30 p.m. concert in honor of her retirement at the Westchester Reform Temple (255 Mamaroneck Road, Scarsdale). Visit hbms.org for more information. The Citizen Preparedness Corps of the State of New York will host a preparedness workshop at the New Rochelle Library (1 Library Plaza, New Rochelle) at 3 p.m. The workshop will center of preparing for disasters and other emergencies, natural or manmade. The National Guard will be running the event. Visit dhses.ny.gov/aware-prepare/ for more information. REBEL Ensemble for Baroque Music will present “Musick From The Fairest Isle” at 5 p.m. at The Grace Episcopal Church (33 Church Street, White Plains). 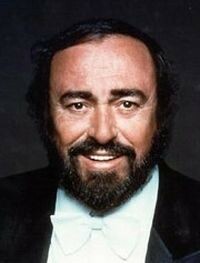 Visit DTMusic.org for more information. The last weekend of July is upon us so it sure seems like the summer is going by too fast. Take some time, though, to slow things down this weekend and enjoy everything the cities, towns and villages in the 88th Assembly District have to offer. There’s a big sidewalk sale in Scarsdale, plenty of great music and several wonderful movies to enjoy with the whole family. The band Back to the Garden will perform at noon in Renaissance Park (Mamaroneck Avenue and Main Street, White Plains) as part of the city’s Noon Day Concert series. Visit cityofwhiteplains.com for more information. The New Rochelle Council on the Arts will continue its “Pop-Up Performances” at the New Rochelle Train Station from 5:30-7 p.m. The concerts will run every Thursday through Aug. 25. Visit newrochellearts.org for more information. The Westchester Band, under the direction of Allan Hollander, will perform at Chase Park in Scarsdale at 8 p.m. The concert will be held at Scarsdale High School in case of rain. 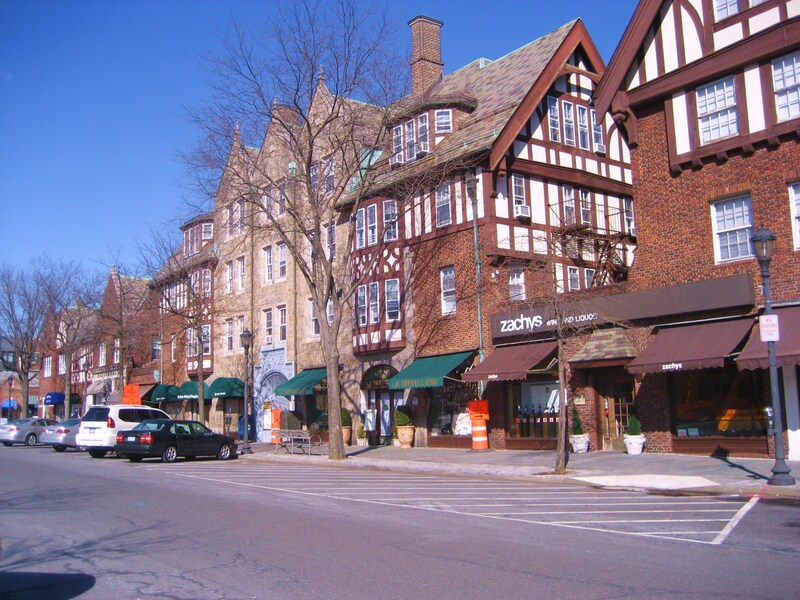 Visit scarsdale.com for more information. The New Rochelle BID Music on the Green Series will host Eli Fountain with Baba Don and Equinox at Ruby Dee Park on the New Rochelle Library Green (1 Library Plaza, New Rochelle) at 7 p.m. Visit newrochelledowntown.com for more information. The City of White Plains will host Ms. Liz Variety as part of its Neighborhood Nights series at Chatterton Park (Chatterton Avenue and Harmon Street, White Plains) at 7 p.m. The Petting Zoo and Shaun the Sheep will also be on hand. Visit cityofwhiteplains.com for more information. The City of White Plains will host a free outdoor movie night at Turnure Park (26 Lake Street, White Plains). This week’s movie, which begins at 7 p.m., is The Good Dinosaur. Visit cityofwhiteplains.com for more information. Alvin & Friends Restaurant (14 Memorial Highway, New Rochelle) will host “After Work Meet and Mingle” from 7-10 p.m. There will be drinks, music and no cover charge. Visit alvinandfriendsrestaurant.com for more information. of stores that will participate in the sale. The Junior League of Central Westchester is hosting its Summer Social “Let’s Flamingle” from 7:30-9:30 p.m. The party is at a private home and is by invitation only. Call 914-723-6130 for more information. The Wings of Hope, hosted by the Justin Samela Miceli Foundation, will take place at from 7-11 p.m. at Beckwith Point (700 Davenport Avenue, New Rochelle). The foundation provides support to young people who exemplify who Justin was and what he believed in. Visit justinswingsofhope.com for more information. Grease”. All seats are reserved. Call 914-760-2517 for more information or reservations. The White Plains Performing Arts Center (11 City Place, White Plains) will present “In The Heights, A New Musical” about a community in the Manhattan neighborhood of Washington Heights. Show times are 8 p.m. on Friday and Saturday and Sunday at 2 p.m. Visit wppac.com for more information. 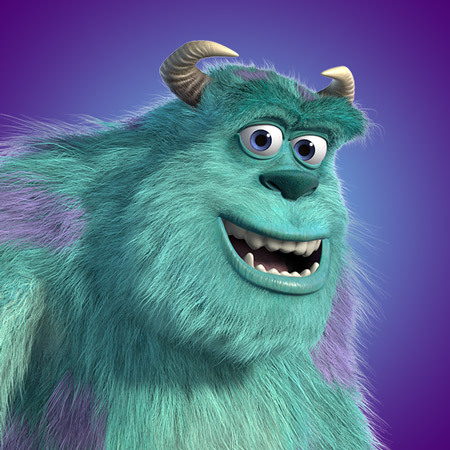 The Generoso Pope Foundation (24 Depot Square, Tuckahoe) will continue its Summer Movie Series with a showing of Monster’s Inc. at 8:30 p.m. Visit gpfny.org for more information. 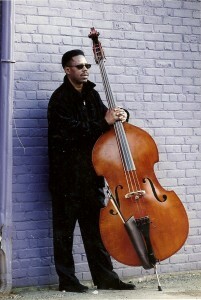 The Rocky Middleton Trio will perform at Alvin & Friends Restaurant (14 Memorial Highway, New Rochelle) from 7:30-11:30 p.m. Visit alvinandfriendsrestaurant.com for more information. The Ecuadorian Festival will take place at the Westchester County Center in White Plains beginning at 6 p.m. Call 914-995-4050 for more information. The Westchester County Mobile Shredder will be in Tuckahoe at the Lake Avenue/Main Street commuter lot from 10 a.m.-1 p.m. Residents can bring up to four file-size boxes of confidential papers to be shredded. Visit http://tinyurl.com/h5he2za or call (914) 813-5425 for more information or to learn about early closure or cancellation. The Songs for Seeds, in conjunction with the Scarsdale Recreation Department, will celebrate its one-year anniversary with a concert in Chase Park (32 Chase Road, Scarsdale) at 11 a.m. Songs for Seeds is a local children’s music program. Visit songsforseeds.com/ny/scarsdale/partners for more information. Gentle Ben’s Trio will perform at Alvin & Friends Restaurant (14 Memorial Highway, New Rochelle) from 7-10:30 p.m. Visit alvinandfriendsrestaurant.com for more information. The City of New Rochelle’s Lighted Boat Parade will take place at 8:30 p.m. Lighted boats will parade through New Rochelle Harbor from Hudson Park to Neptune Park. Visit newrochelleny.com or call 914-235-6930 for more information. Alvin & Friends Restaurant (14 Memorial Highway, New Rochelle) will host “The House”, a teen coffee house, from 5-7:30 p.m. It’s an open-mic experience for people under 25. Visit alvinandfriendsrestaurant.com for more information. It’s already mid-July and it seems as if the summer is speeding by. Don’t let it pass you by, though, without enjoying everything there is to see in the cities, towns and villages in the 88th Assembly District. The New Rochelle Downtown Jazz Festival highlights a week of concerts in the area. The group Gunsmoke will perform at noon in Renaissance Park (Mamaroneck Avenue and Main Street, White Plains) as part of the city’s Noon Day Concert series. Visit cityofwhiteplains.com for more information. The City of New Rochelle will celebrate its founding by French Huguenots with a 10 a.m. Bastille Day ceremony, sponsored by the New Rochelle Sister City Committee, at City Hall (515 North Avenue, New Rochelle). Visit newrochelleny.com for more information. The annual New Rochelle Downtown Jazz Festival will kick off with a performance by Ras Chemash Lamed at Jolo’s Vegan Restaurant (49 Lawton St., New Rochelle). Italian pianist Nico Morelli is also scheduled to perform. Visit newrochellearts.org for more information. The Beth El Synagogue Center (1324 North Avenue, New Rochelle) will continue the 2016 Summer Israel Film Series with a 7:30 p.m. showing of “Partner With the Enemy”, an inspiring story of the relationship between two women, one Israeli the other Palestinian. Visit bethel.org for more information. The Westchester Italian Cultural Center (24 Depot Square, Tuckahoe) will host its Cinema Sotto le Stelle Series beginning with an 8:30 p.m. showing of “Se Dio Vuole”. Bring your own chair and be in Depot Square early to get a seat. Visit wiccny.org for more information. The city of White Plains will host T-Bone as part of its neighborhood nights series at Chatterton Park (Chatterton Avenue and Harmon Street, White Plains) at 7 p.m. Visit cityofwhiteplains.com for more information. The Petting Zoo and Shaun the Sheep will be at Gardella Park (Ferris Avenue, White Plains) at 4 p.m. Visit cityofwhiteplains.com for more information. The City of White Plains, ArtsWestchester and the White Plains Performing Arts Center have joined together once again to present Shakespeare in the Park. This year’s production is “As You Like It” and will take place Thursday at 7 p.m. in Turnure Park (26 Lake Street, White Plains). Visit wppac.com for more information. The New Rochelle Downtown Jazz Festival will continue at Alvin & Friends Restaurant (14 Memorial Highway) when the Brian Carter Quartet and Nico Morelli perform at 8 p.m. Visit alvinandfriendsrestaurant.com for more information. The Pelham Arts Center (155 Fifth Avenue, Pelham) will host an Opening Reception for its “Faculty and Student Showcase” exhibit, which will run through Aug. 19, from 6:30-8 p.m. Visit pelhamartscenter.org for more information. 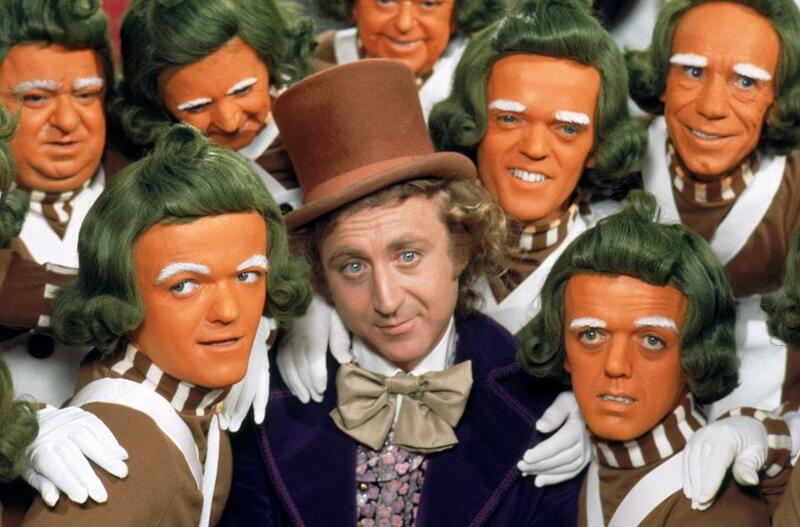 The White Plains Performing Arts Center (11 City Place, White Plains) will present Willy Wonka Junior as part of its Summer Theatre Academy production series. Showtime is 7 p.m. on Friday and again on Saturday. Visit wppac.com for more information. The Generoso Pope Foundation (24 Depot Square, Tuckahoe) will kick off its Summer Movie Series with a showing of Toy Story at 8:30 p.m. Visit gpfny.org for more information. some food to share or enjoy the free burgers and hot dogs while playing board and lawn games. Visit firstbaptistwhiteplains.org for more information. The Pelham Picture House (175 Wolfs Lane, Pelham) will present “The Music of Strangers” beginning with a 1 p.m. show. There will also be shows at 3, 5 and 7 p.m. with shows throughout the weekend. 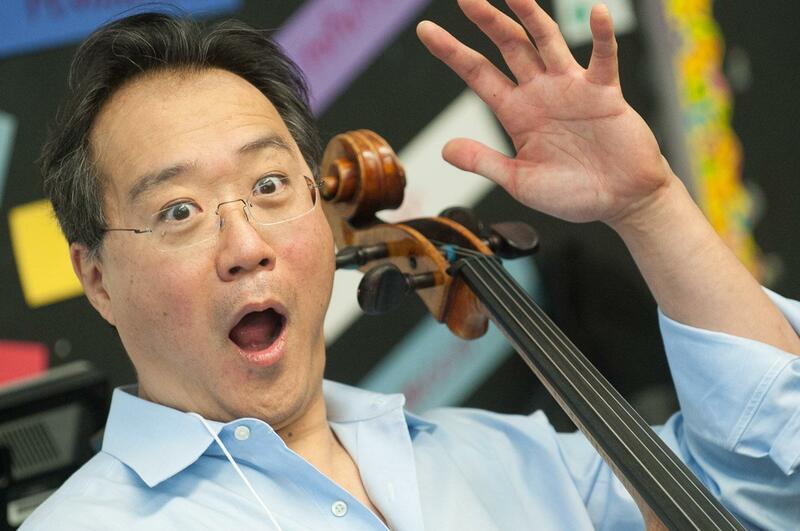 The film chronicles the story of Yo-Yo Ma and the Silk Road Ensemble, the international music collective founded by the legendary cellist. Visit thepicturehouse.org for more information. The New Rochelle Jazz Festival continues with a full day of music at Ruby Dee Park on the Library Green. Scheduled to appear are Jazmyn (noon), The Rocky Middleton Trio (2 p.m.), Blue Haze with special gust Tasty Mike Murphy (5-7 p.m.), KJ Denhart (7-9 p.m.) and the Carl Bartlett, Jr. Quartet (9-10:30 p.m.). 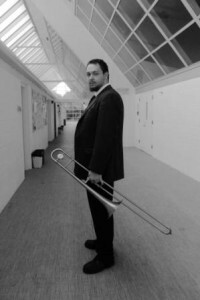 Gil Paris will receive the New Rochelle Jazz Festival Award at Jolo’s Kitchen (49 Lawton Street, New Rochelle). He will perform at 8 and 10 p.m. Visit newrochellearts.org for more information. The Bartow-Pell Mansion Museum (895 Shore Road, Pelham Bay Park) will host Volunteer Garden Clean-Up Day from 10 a.m.-1 p.m. Youth volunteers and children with adult supervision are encouraged to participate. Visit bartowpellmansionmuseum.org for more information. The Empire Strikes Back Concert will take place at The County Center in White Plains at 7 p.m. DMX, Swizz Beats, The Lox, Drag-On, and Sean Cross are scheduled to perform. Visit countycenter.biz for more information. Jazmyn will perform in the main dining room at Alvin & Friends Restaurant (14 Memorial Highway, New Rochelle) at 7:30 p.m. Visit alvinandfriendsrestaurant.com for more information. The Scarsdale Library (54 Olmstead Road, Scarsdale) will host a breakfast with playwright and author Delia Ephron at 11 a.m. Visit scarsdalelibrary.org for more information. The New Rochelle Downtown Jazz Festival concludes with late-afternoon and evening performances at Ruby Dee Park on the New Rochelle Library Green. Avalanche (4-5 p.m.), Adam Weber Jeruvian Latin Jazz Quintet (5-7 p.m.), Brian Carter Quartet featuring Nico Morelli (7-8 p.m.) and INTZ featuring Ken Geoffrey (9-10:30 p.m.) are all scheduled to perform. Visit newrochellearts.org for more information. 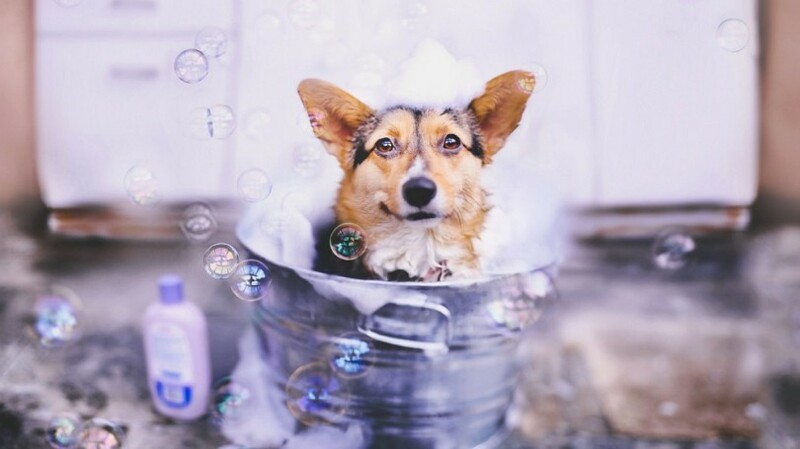 The Humane Society of Westchester (70 Portman Road, New Rochelle) will host its 16th annual Dog Wash Fundraiser from 10 a.m.- 3 p.m. Visit humanesocietyofwestchester.org for more information. The Bronxville Women’s Club (135 Midland Avenue, Bronxville) will announce the winners of the 2016 Beaux Arts Competitions at a reception from 2-5 p.m. Visit bronxvillewomensclub.org for more information. We’re closing out April and welcoming May this weekend and the best way to celebrate is to spend time in the 88th Assembly District. There are plenty of speeches, concerts, ceremonies, dances and movies in our cities, towns and villages to fill your weekend. The weather is supposed to be spectacular, so get out enjoy it. Retired archivist Ray Geselbracht will speak at The Bronxville Women’s Club (135 Midland Avenue, Bronxville) at 1:30 p.m. He has worked at the Truman Library in Missouri, The National Archives in Washington and has served as the special assistant to the director in Hyde Park, N.Y. Visit bronxvillewomensclub.org for more information. 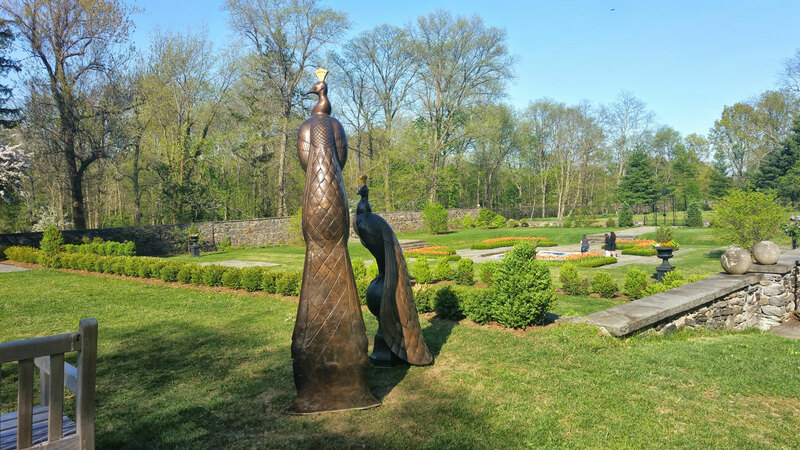 The Bartow-Pell Mansion Museum (895 Shore Road, Pelham Bay park) will host a “Garden Art Talk” centering on figures, fountains and peacocks Lachaise Garden Sculptures (1920-35) at 7:30 p.m. Visit bartowpellmansionmuseum.org for more information. The Sarah Lawrence College (1 Mead Way, Bronxville) Spring Theatre season continues with a performance of “Uniform Convergence”, a show that chronicles the lives of a 19th century Russian mathematician and a present-day Asian-American math professor. Show times are 7 p.m. on Thursday and Friday. Visit www. sarahlawrence.edu for more information. The Chocolate Works in Scarsdale (450 Central Park Avenue, Scarsdale) will host “A Wine and Chocolate Extravaganza” at 6:30 p.m. Visit chocolateworks.com/scarsdale more information. The City of New Rochelle will observe Arbor Day with a tree planting in Ruby Dee Park at The New Rochelle Library Green 2-3 PM. There will also be a children’s workshop. Visit newrochelleny.com for more information. The St. Paul’s Church National Historic Site (897 S. Columbus Avenue, Mount Vernon) will host a digital presentation with historical commentary followed by a discussion that will explore the National Mall in Washington, D.C. visit nps.gov/sapa for more information. 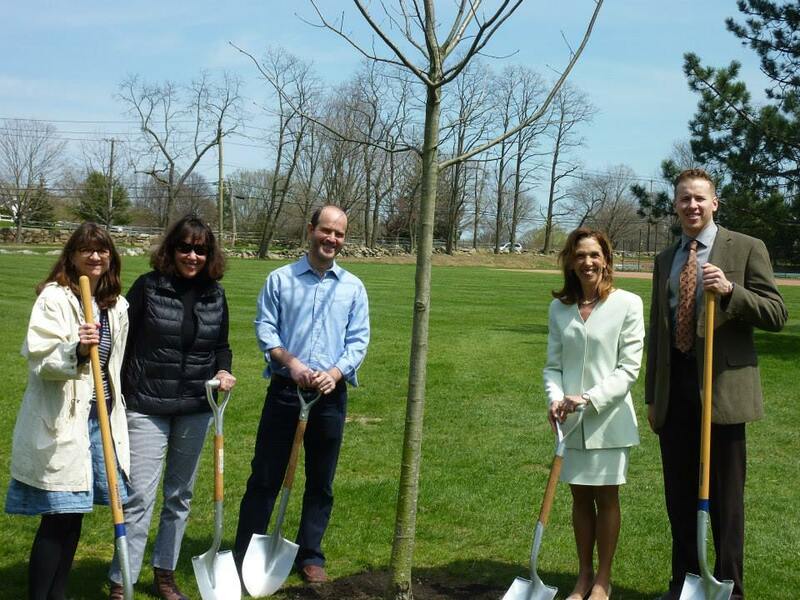 The Village of Scarsdale Arbor Day Ceremony will take place at Hyatt Park (167 Scarsdale Boulevard) from 1:30-2 p.m. Contact Josh Ringel at jringel@scarsdale.com for more information. Planting trees in Scarsdale on Arbor Day. Operation Prom Dress Giveaway will take place at The County Center in White Plains from 1-5 p.m. and again on Saturday from 10 a.m.-2 p.m. Operation PROM provides resources, opportunity and mentoring to students in need. Services are available to children in financial need, those who are homeless, sick, or disabled. School supplies and scholarships are available in addition to our regular donations of Prom dresses and tuxedos. Visit operationprom.org for more information. The “Spring Fever Baseball Card Show” will take place at The County Center from 2-8 p.m., on Saturday from 10 a.m.-5 p.m. and Sunday from 10 a.m.-4 p.m. Visit nyshows.org for more information. The White Plains Youth Bureau will host its 8th Annual Father-Daughter Dance at the Crowne Plaza (66 Hale Avenue, White Plains) at 7 p.m. There will be dinner and prizes in addition to the dancing. Tickets are available at the White Plains Youth Bureau, 11 Amherst Place, White Plains, Monday through Friday (9:30 a.m.- 7:30 p.m.) For more information please contact Adrienne Rivers at: arivers@whiteplainsny.gov or 422.1378. Saxophonist Alex McCabe and pianist Paul Odeh will perform at Alvin & Friends Restaurant (14 Memorial Highway, New Rochelle) from 7-11 p.m. Visit alvinandfriendsrestaurant.com for more information. The Amato Opera Company will perform, complete with 18th-century costumes and handcrafted masks, at the Westchester Italian Cultural Center (One Generoso Pope Place, Tuckahoe) at 7 p.m. Visit wiccny.org for more information. The Sarah Lawrence College Spring Dance Concert, featuring performances by undergraduate and graduate students, will take place in the school’s Bessie Schonberg Dance Theatre (1 Mead Way, Bronxville) at 7:30 p.m. on Friday and Saturday. Visit sarahlawrence.edu for more information. The award-winning Archbishop Stepinac High School (950 Mamaroneck Avenue, White Plains) drama club will present “Sister Act” on Friday and Saturday at 7:30 p.m. Visit stepinac.org for more information. The Undiscovered Realm Comic and Toy Expo will take place at the County Center in White Plains from 10 a.m.-8 p.m. and on Sunday from 10 a.m.-5 p.m. Visit Undiscovered-Con.com for more information. The Symphony of Westchester’s “All Romantic Concert”. Violinist Tessa Lark will perform Antonin Dvorák’s Violin Concerto, op. 53, in A minor at 8 p.m. at Iona College’s Christopher J. Murphy Auditorium. 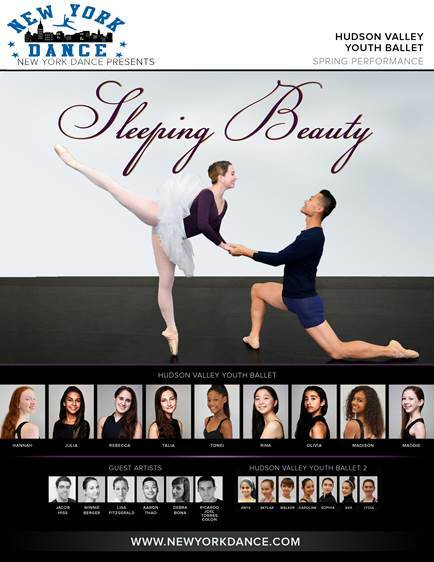 Visit symphonyofwestchester.org for more information. The Huguenot Cabaret will take place at the Huguenot Memorial Church (901 Pelhamdale Avenue, Pelham Manor) at 6 p.m. There will be cocktails, a buffet, a silent auction and more in addition to the show. Visit huguenotchurch.org for more information. The Symphony of Westchester will present an all-romantic music program featuring violinist Tessa Lark at Iona College (715 North Avenue, New Rochelle) at 8 p.m. Visit thesymphonyofwestchester.org for more information. The Music Conservatory of Westchester will hold a special Faculty Concert at Faust Harrison Pianos (214 Central Avenue, White Plains). Visit musicconservatory.org for more information. The Scarsdale Library (54 Olmstead Road, Scarsdale) will host “A Taste of Scarsdale … Just Desserts: Satisfying your sweet tooth with master baker Seth Greenberg” from 2-3 p.m. Visit scarsdalelibrary.org for more information. The Hoff-Barthelson Music School jazz students will perform at the Scarsdale Library with anyone from the community who wishes to “jam with them”. The performance begins at 2 p.m. Visit scarsdalelibrary.org for more information. The West Center Congregational Church (101 Pondfield Road West, Bronxville) will hold its Spring Tag Sale from 10 a.m.-3 p.m. and on Sunday from 12:30-3 p.m. Visit westcenterchurch.org for more information. The April’s Child Walk-A-Thon will take place at Rye Playland beginning at 9 a.m. April’s Child, which works to raise awareness about how to prevent child abuse and neglect, serves the City of New Rochelle. Visit http://tinyurl.com/jtwgxfe for more information. The Jackie’s Walk 4HD (Huntington’s Disease) will take place at Glen Island Park in New Rochelle at 10 a.m. Visit help4hd-international.org/JHWalk4HD for more information. Bicycle Sundays are back on the Bronx River Parkway. The BRP will be open to bikers and pedestrian traffic between the County Center in White Plains and Scarsdale Road in Yonkers between 10 a.m. and 2 p.m. Visit westchestergov.com for more information. The Picture House (175 Wolfs Lane, Pelham) will present a special screening of DARAJA GIRLS: Powerful Beyond Measure at 6:30. The film focuses on the cultural exchange at high schools in Northern California as two Daraja students journey to the U.S. for the first time. Visit thepicturehouse.org for more information. 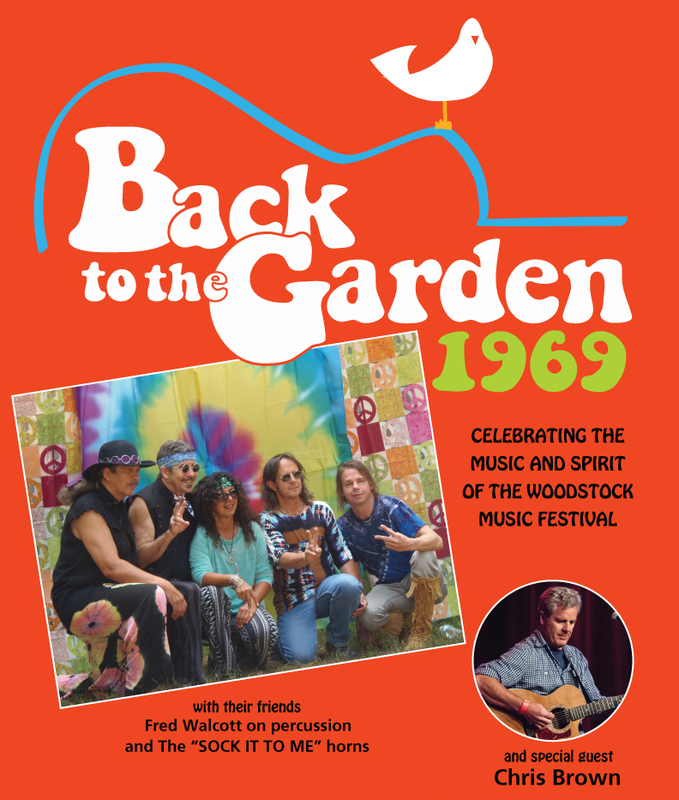 The White Plains Performing Arts Center (11 City Place, White Plains) will present “Back To The Garden 1969”, a celebration of Woodstock, at 4 p.m. Visit wppac.com for more information. The College of New Rochelle (29 Castle Road, New Rochelle) will host The Strawfest Strawberry Festival from noon-5 p.m. There will be music, vendors, games and attractions and strawberry-themed foods. Visit cnr.edu for more information. Scarsdale Synagogue Temples Tremont & Emanu-El (2 Ogden Road, Scarsdale) will host a Songs for Seeds Concert in conjunction with its Mazel Tots Open House from 4-5 p.m. The Song for Seeds is an award-winning children’s music program. Visit sstte.org for more information. The Mayfair, an annual community outreach carnival, at Sarah Lawrence College (1 Mead Way, Bronxville) will take place from 11 a.m.-3 p.m. Visit sarahlawrence.edu for more information. The New Choral Society will host a celebration of American composer Randall Thompson at 4 p.m. at the Hitchcock Presbyterian Church (6 Greenacres Avenue, Scarsdale). Visit newchoralsociety.org for more information. The Hoff-Barthelson Music School Master Class Series will present clarinetist Alan Kay in a 6 p.m. concert at the school (25 School Lane, Scarsdale). Visit hbms.org for more information. Sound Shore Chorale will present its 38th annual Spring Concert – An All-Schubert Program at 3 p.m. at the Arrigoni Center (48 Mayflower Avenue, New Rochelle). Visit soundshorechorale.org for more information. There will be a “Blessing of the Bikes” at the First Baptist Church of White Plains (456 North Street, White Plains) at 9:15 a.m. Reverend Tim Dalton will conduct a short service, asking God to bless each rider and bike for the upcoming riding season. Visit firstbaptistwhiteplains.org for more information.